The Lily Ledy Logray seen here is the later "El Regreso del Jedi" logo version. 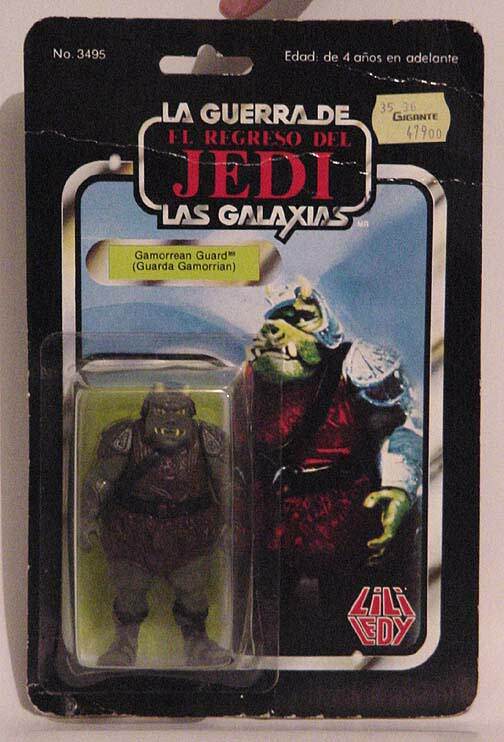 The earlier "El Retorno de Jedi" carded Gammorean Guard may be viewed here. Lili Ledy carded figures have emerged in recent years as one of the most popular foreign carded figure styles. One cannot always be particularly condition conscious on the Lili Ledy cards as many exist with significant wear.